Mumbai, January 16, 2019: Responding to the recent notification by the government on waiving GST on basic savings bank deposit accounts (BSBD) and Pradhan Mantri Jan Dhan Yojana (PMJDY) accounts, the Business Correspondents Federation of India (BCFI) has released a statement on the potential impact of the move on remittance services. 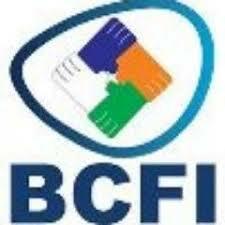 BCFI states that the notification will severely impact remittance services used by migrant persons since it is difficult to differentiate the BDBD/JDY account from regular bank accounts. So, if a customer declares at the time of remitting money that his/her account is a JDY account, but is found out to not be one, the BC agent may be penalised for not collecting GST. Likewise, if it is a BSBD/PMJDY account and the GST has been collected, one may be guilty of wrongly levying GST. The introduction of “Reverse Charge Mechanism” for BC companies has put an additional burden on them of collecting GST from each retailer. Increasing the GST exemption limit fromRs.20 lakh to Rs.40 lakh offers no benefits to the financial inclusion sector with the Reverse Charge Mechanism being applied. This will adversely impact financial inclusion since the remuneration paid to BC agents will become too less. The impact of 27% GST on BC services remains unaddressed and will impact the government’s objectives by reducing the margins for BCs, while banks will get 50% input credit on GST. As a result, there will be an increase of approximately 150% on the costs involved in remittance services offered by new-age technology providers and banks. A clarification has been issued that banks will have to pay GST on all fees collected from customers. This has been derived from a few dated circulars issued by the RBI, but this information does not appear in the recent circulars from the RBI. A circular dated October 5, 2011, para 4 (e) on Relaxation of Domestic Money Transfer permitting charging fee by non-Banks; circular dated March 2, 2012 para 2 permitting interoperability for non-customers; and circular dated January 21, 2014 para 6 (c) instructing bank charges to be same at both bank and BC outlets, all validate that banking is just one of the functions performed by a BC agent. Lastly, a circular dated October 29, 2014 para ii) relaxes the 30 km-limit in the wake of operational flexibility and technology developments so as to facilitate granular services from multiple banks and serve citizens better (whether a customer of the bank or not). Further, a weighted tax benefit of 125% on all expenses of the business correspondent sector would help the industry make more efforts towards building an advanced infrastructure and better trained force of agents. This will help bring higher number of small deposits to the banks which can be devoted towards large-scale projects in the country. Business Correspondent Federation of India (BCFI) is the national federation of Corporate Business Correspondents (CBCs) and Agent Business Correspondents (ABCs) in India. It is a not-for-profit organization that aims to promote responsible finance by systematizing and harmonizing the delivery of financial services to the poor through the critical last mile i.e. the ABCs. The federation interalia also does policy advocacy, promotes financial literacy and customer awareness. BCFI undertakes studies, workshops/conclaves and supports collaborative development activities related to financial inclusion in general and the BC sector in particular. The federation works with its stakeholders towards setting up a quality network, standardized systems and processes that address both supply and demand side challenges holistically.